This post is dedicated to the 2400 (and counting) fans of the Facebook page of this blog. And if you are not a member of this page, this will inspire you a bit or a lot more. Life is strange and interesting. So many things happen for so many reasons. And so many things happen for no reason at all. Well, good and bad are relative terms for sure. But some things shake our world, for better or for worse. I was one of the most energetic girls of my college gang. I could sit and study for hours. I could trek for a really long time when others would get tired. I could go shopping from one place to another for insane hours. I could clean my house, the doors, the windows, etc. effortlessly with great perfection. I could work out so regularly that my gym instructor used to ask me to reduce the frequency! I could run like hell to catch a train about to leave from the other platform. I could change four trains to reach my workplace, work with complete dedication and return back home to cook every single day! The above is true for most of us who have fibromyalgia or other chronic illness. At the start, we tend to feel, "Why me?" Then we graduate to, "Alright, I have to and I will deal with this." Then we advance to, "Why not me? May be there was a hidden purpose." And then, somewhere in our journey with such illness, we become a good person... a very good person at heart. Yes, there's no harm in saying, "I feel I am a good person" when you truly believe you are. Being modest is one thing, but when such words help you believe all the more strongly that you are a better being, I think you should say it. Do you think after this illness you have evolved to become a much better person? Yes? Then, say it aloud to yourself right now and see the magic working. "I feel I am a good person." Feel happy? Right? Feel like doing some more good things? See, I told you! We all human beings are known to be the superior species for the intelligence factor. But I guess we underplay the humane factor. Or we lose track of it as we get busy with our 'busy' life! Human: A member of the genus Homo and especially of the species H. sapiens. So coming back to the members of my page. Each one of them have fibromyalgia. 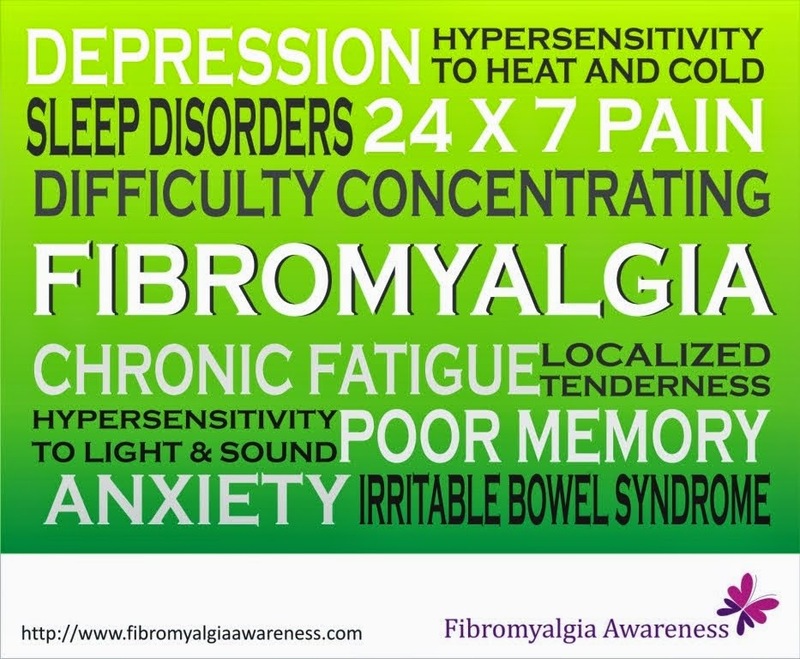 Most of them have fibromyalgia and one more illness. Few have as many as 7-9 medical conditions (osteoporosis, scoliosis, TMD, diabetes, chronic fatigue, lupus, RA, asthma...)! And yet, even as they discuss their problems, get / share information and get / share tips, there's one very humane thing you will notice. They all are constantly helping out each other. There is so much compassion I cannot express in words. While someone had excruciating pain in from hips to toe and spend a couple of sleepless nights, the person asks if someone has some tips to get some relief. But while waiting for a reply, the person simply doesn't just refresh the page again and again. The person browses through wall posts by others and addresses their concerns. Someone looking for a rheumatologist in their area. Someone needing words of support on a day they are very stressed. Someone wondering how to deal with morning stiffness in ankles and knees... the list is endless. The person replies wherever possible! And by the time the person returns to his/her own post, there are tips to get relief from excruciating pain and sleeplessness! It's a complete circle of help. Illness has made us all the more compassionate, all the more purposeful. There are so many things we cannot do. There are so many people who do not understand. But the good thing is that now we understand so many people. And we are all keen to help each other. My facebook page for the Fibromyalgia Awareness blog is still in its early stage of evolution. But check out so many other pages with 60000+ members! Not just fibromyalgia, but other illnesses as well. So many nice people around in so much pain yet there for each other. So many Humane Beings! I would like to THANK all these lovely people who for some reason, known or unknown, have one or more illnesses, yet they have one big heart! I love you all for making this world a wonderful place to live. You are the reason why despite so many bad things people still believe in the existence of good people. It is an honour to know you all!